UEDA's executive director, Kristi Luzar, was profiled as part of BizTimes recent cover story: 'Women leaders drive Milwaukee economic development organizations.' She is in good company, recognized alongside fellow economic development leaders Julia Taylor (Greater Milwaukee Committee), Eve Hall (Milwaukee Urban League), Wendy Baumann (WWBIC), May yer Thao (Hmong Wisconsin Chamber of Commerce), and Donsia Strong Hill (LISC Milwaukee (Local Initiatives Support Corporation). On October 5th, UEDA hosted nearly 100 individuals at our Annual Community Development Summit where attendees explored the topic of economic and social inclusion with the disability community. The keynote presentation was delivered by Michael Morris, Director of the National Disability Institute, and luncheon remarks from Milwaukee Mayor, Tom Barrett and Lt. Governor of Wisconsin, Rebecca Kleefisch provided a local perceptive on this topic. Click here for an initial recap of the event. To follow, UEDA co-hosted a Greater Milwaukee Foundation 'On the Table' conversation with MIAD. We used small group discussion to continue to explore the topic of poverty and inclusion with the disability community. UEDA will celebrate our 20th Anniversary of serving the economic and community development sector on November 6th at Merriment Social! Current members and partners are welcome to join us for this community gathering and celebration. A consortium of nonprofit organizations led by LISC Milwaukee with support from JPMorgan Chase’s PRO Neighborhoods initiative aims to support neighborhood-based entrepreneurs by connecting them with spaces along three commercial corridors to test out their business ideas. Northwestern Mutual announced their new Cream City Venture Capital Fund which will provide early stage funding to startups and access to additional resources, including advisors, mentors, co-working space and technology. Congratulations to Bethany Sanchez of the Metropolitan Milwaukee Fair Housing Council on being selected to serve a 3-year term on the Federal Reserve Board Community Advisory Council! Help the Wisconsin Veterans Chamber of Commerce celebrate and honor the service of our state's veterans from November 4-11 during Veterans Week. Happy 40th Anniversary to the Metropolitan Milwaukee Fair Housing Council! Join them in celebrating four decades of fair housing work in Wisconsin on November 16. First Stage is offering a special opportunity for organization and groups to attend their Pay What You Choose performances. Review the list of plays and special performance dates here. Co-sponsored by Rep. David Crowley of Milwaukee and Rep. Jimmy Anderson of Fitchburg, the four-part “Housing Eviction and Discrimination Prevention Package,” was created to help families avoid evictions, abate rental payments in instances of landlord neglect and fight housing discrimination. The Forest County Potawatomi Community and the City of Milwaukee have agreed to a 12 year, $10 million deal to support operating costs for the Milwaukee Streetcar, with funds also providing free rides for all patrons during the first year of operation. Join staff from the City of Milwaukee and residents for the second public meeting to discuss how a streetcar extension could transform the Bronzeville and Historic King Drive neighborhood. The workshop will include a walking or trolley tour where you will be able to give your insight and advice on the future of the neighborhood. Two sessions will be hosted on November 4: 1:30pm-2:45pm or 2:45pm-4:00pm. A new Public Policy forum report indicates that the city's workforce is getting stronger, but is under-performing in the areas of idea development, capital formation and entrepreneurship. Access the full report here. Hosted by local artists and America’s Black Holocaust Museum, the Garfield Art House Party welcomed community members into the newly redeveloped apartments located in Bronzeville. The Governors Conference on Minority Business Development helps minority, women and veteran-owned company representatives learn about doing business with state, federal and local agencies as well as corporations. The first day features FREE workshops on contracting processes and the second day includes one-on-one buyer meetings and networking booths with small businesses, resource providers, government agencies, and lenders. Held on October 4-6, the national conference plenary sessions can now be viewed online. The second annual Milwaukee Startup Week, presented by Northwestern Mutual, brings entrepreneurs, investors, local leaders, and companies together to build momentum and celebrate entrepreneurship in Southeast Wisconsin. Keynote speakers Glen Martin of Just Leadership, DeAnna Hoskins of the U.S. Department of Justice, and Jon Ponder of Hope for Prisoners will share their personal journeys from incarceration to leadership positions in successful reentry projects. Attendees can select from a number of tracks. View registration form and program agenda. 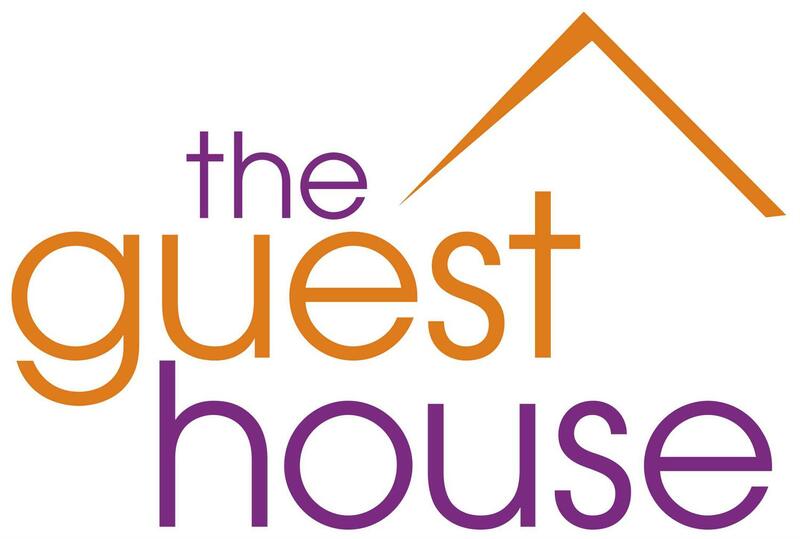 This month's UEDA Member Spotlight is the The Guest House of Milwaukee! For 35 years, The Guest House has provided shelter, housing, education, and supportive services to Milwaukee’s homeless who seek to transform their lives with dignity and purpose. Their shelters and accompanying programming provide support to homeless men, women, families, and veterans. They also deliver outpatient substance abuse and mental health treatment and work with those that are at-risk of becoming homeless. Visit their Amazon.com wishlist for an easy way to donate items to their shelter.